Get out there and explore all that Missoula has to offer. 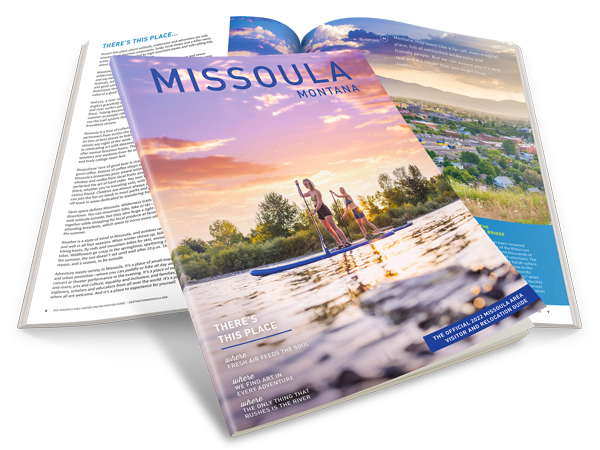 Whether it is arts and culture, or the great outdoors, Missoula is just waiting to be explored. Let us be your guide. Hot Springs near Missoula and in the surrounding areas of Montana. Montana is ripe with old ghost towns, many of which are just a short drive from Missoula. Missoula parks boast facilities for virtually any sport or event imagineable. Parks are open daily from 6am to 11pm and are available for picnics, family reunions and other events. Offering both adventure and relaxation, Missoula retreats are sure to replenish, enrich and just get away from it all. Missoula farmers markets have local food, crafts, plants, art and more. Each farmers markets has different variety of offerings and they are all within walking distance of each other.